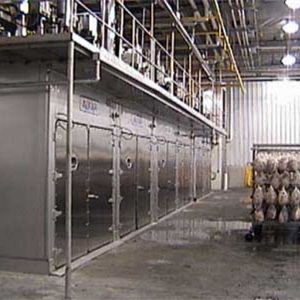 NORTH BAY — A processing plant dealing specifically with high grade exotic meat is opening in 2018. The new plant will be built at 2080 Main St. West, right beside The North Bay Humane Society. Genette, who originally hails from Ussuritov, Russia, says he is taking extra steps to fit in. North Bay City Council was quick to praise Genette’s initiative. In unrelated news, City Council announced the opening of a second dog park in North Bay. The newest dog park will be located at the end of Exterer St, which is near Main St. West and Gormanville Road. The creation of a new dog park so close to the new plant won’t be a problem, says exotic meat plant owner Hector Genette. On the subject or the plant, Hector Genette is hopeful that in time North Bay will accept the processing plant.